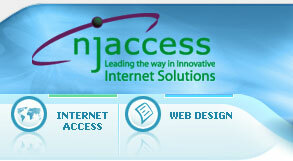 WARNING: NJ Internet Access does not warrant or promise that any of our access numbers are a local call for you. In particular, we urge you to note than even an access number that shares your area code or appears to be located in your general geographic region may NOT necessarily be a local number to you. Substantial toll telephone charges may apply to numbers that you do not verify as local to your individual area or calling plan. Your local telephone company can tell you whether any of our access numbers are in fact local to you. We urge you to check with your local telephone company before connecting to our service using one of our access numbers. NJAccess will NOT be held responsible for any toll or long distance charges you may incur by dialing a non-local access number. * Unlimited access refers to "reasonable access" without specific time limits. 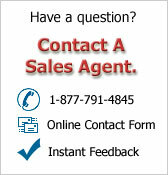 Customers are requested not to remain logged in when the connection is not being used. Connections should not be left on unattended for extended periods of time, especially more than 24 continuous hours, as a courtesy to other users who may be trying to log in. Customers found abusing our "reasonable use" policy will be notified. Offenders who do not modify their connection time habits may risk having their account terminated. ALL DIALUP ACCESS ACCOUNTS ARE SUBJECT TO OUR TERMS OF SERVICE AND ACCEPTABLE USE POLICY.